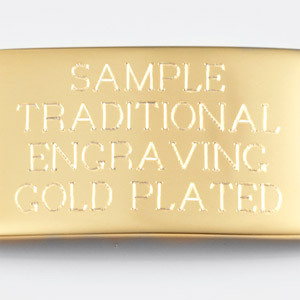 Weight: 1.45 oz. 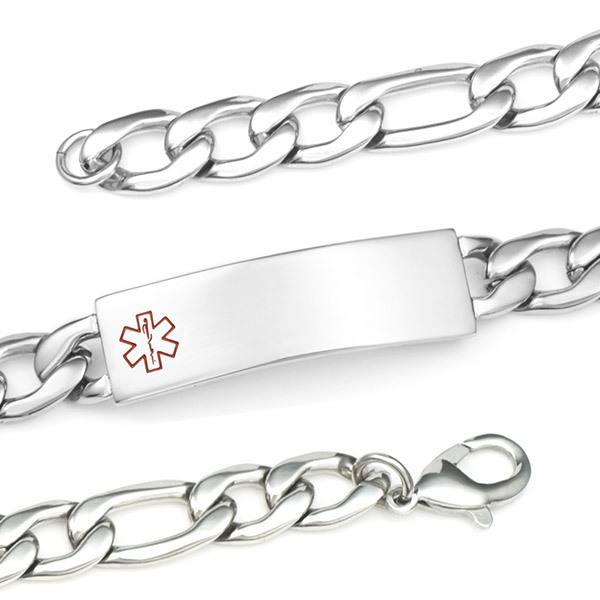 / 41 g.
Men love the look and feel of this classic men's medical bracelet. 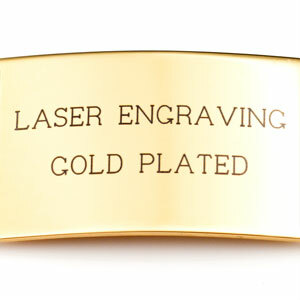 The links are figaro style. 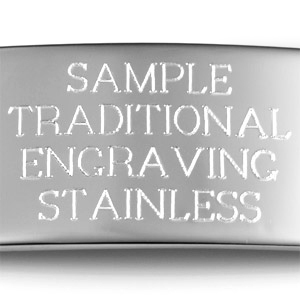 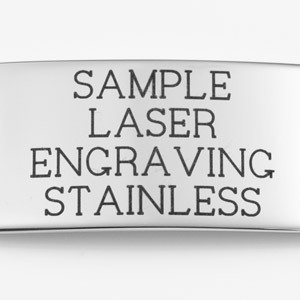 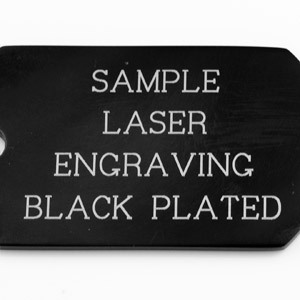 Engrave front ad back of tag. 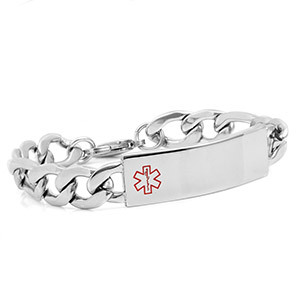 The ID bracelet best fits wrists sized 7 - 7 1/2 inches.